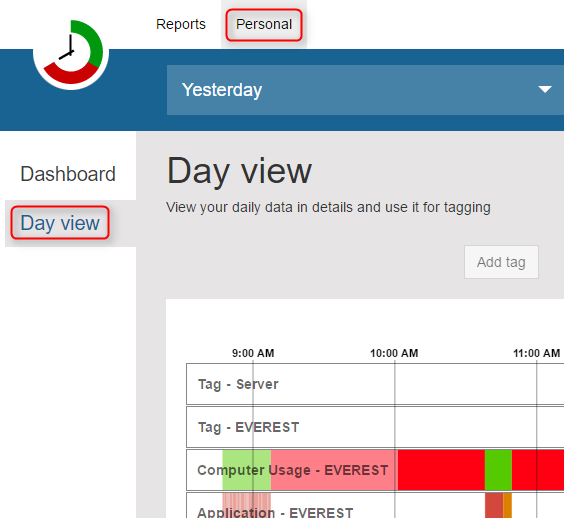 Click on Personal, then Day view on the left. 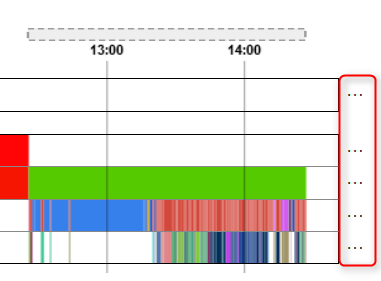 You should see a familiar ManicTime timelines view. 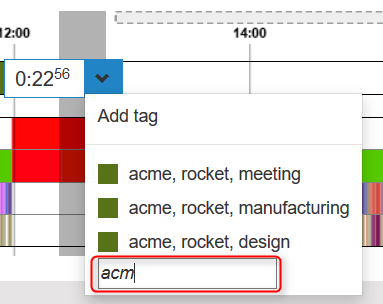 To tag some time, drag over the timelines to select time, then click on Add tag and choose a tag. 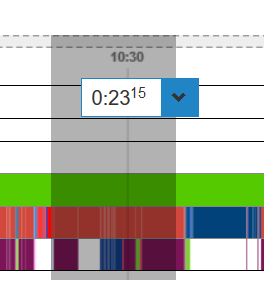 Day view also shows untagged time. 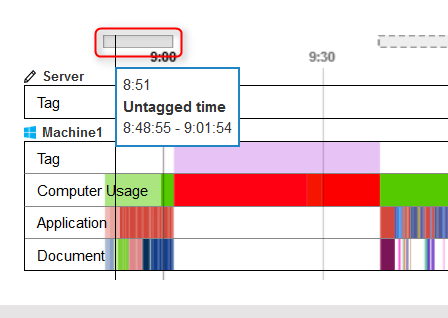 Untagged time is all Active time, which was not tagged. Click on untagged time to make a selection and tag. To zoom, move the sliders in the Zoom control. 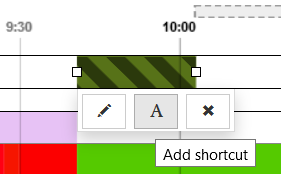 Like on ManicTime for Windows, you can now define shortcuts on the web as well. To define a shortcut, click on a tag to select it, then click on "A" icon. Select a number to associate with that tag. Now just make a selection by dragging on the timelines and press the number you selected. 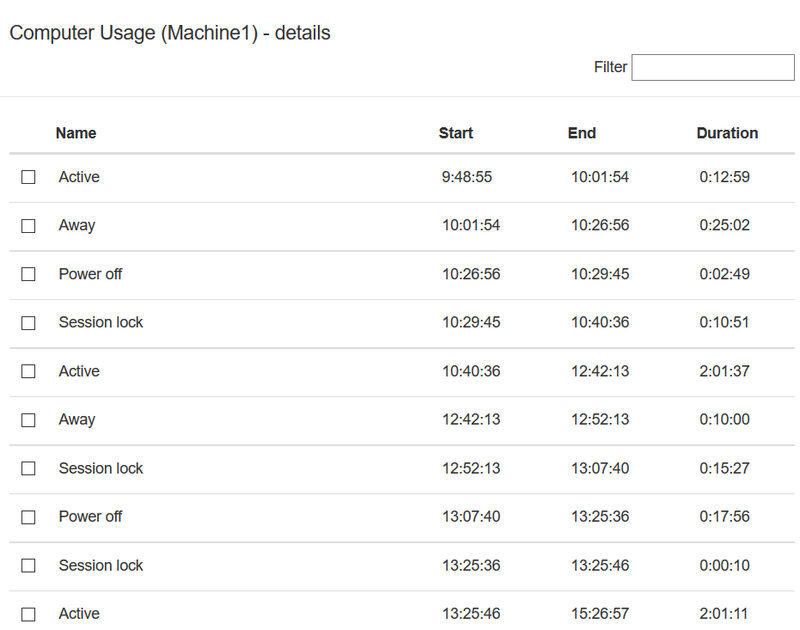 Tag filter will allow you to quickly filter the list of previously used tags. It only shows up when you have 3 or more previously used tags. 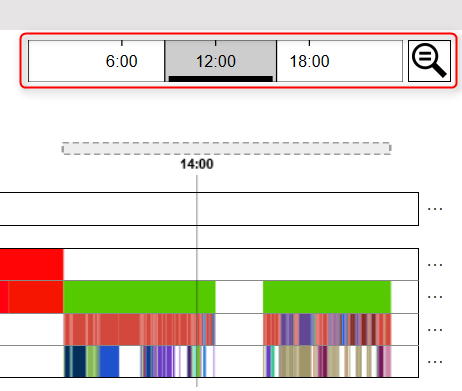 Like on ManicTime for Windows, you can see timeline details. Click on the three dots at the right side of timeline. You can also select activities by checking a checkbox. 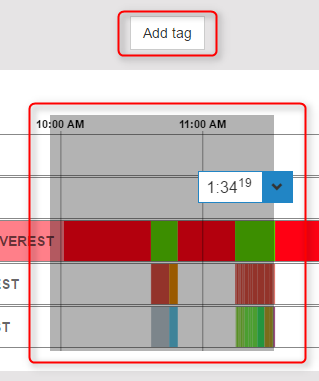 When you return to timelines view, selection will be waiting for you and you can then tag selected time.